Spotlight’s Tom McCarthy to Re-Write Di.. 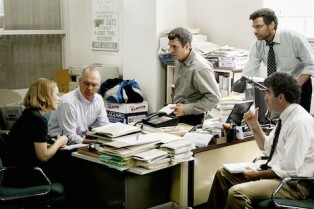 Spotlight Movie Clips: Watch Five Scenes from..
Oscar-Worthy: Josh Singer on Co-Writing Tom M.. Spotlight Director Tom McCarthy on the Invest..